Much of this initial confusion has to do with the fact that we fail to understand – and therefore effectively communicate the “what” and “why” of innovation for the organisation. The reason organisations are talking innovation in the first place is to generate new opportunities and revenue streams and to curate lasting organisational prosperity. But, should one start with incremental innovation or is radical innovation the way to go? 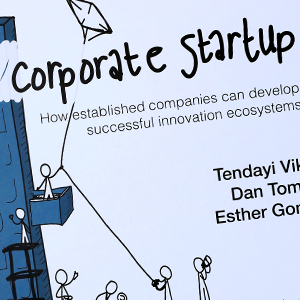 Should we consider business model innovation rather, or is disruptive innovation the answer? In the scramble for relevance it can be frustrating to find the approach that will lead to real world results. Innovation is about more than just “novelty” and can get classified in a myriad of ways. Definitions can be based on form or degree, or it can be defined according to the implication of opportunity and demand. A quick web search reveals anything from three main types of classification to over fifteen. Well-known examples of innovation classifications are given by the OECD and Doblin’s Ten Types of Innovation. The OECD define innovation as “the implementation of a new or significantly improved product (good or service), or process, a new marketing method, or a new organizational method in business practices, workplace organization or external relations”. Doblin is more is more granular in its approach and arranges the different types according to how visible they are to end users. It provides a perspective beyond product innovation and looks at finding new opportunities for breakthrough results. Business model innovation on the other hand is a description of how you create, deliver, and capture value. While product innovation focuses on developing new offerings, business model innovation creatively rethinks core activities, partnerships, resources, and customer relations. ¹ It usually spreads over multiple scenarios identifying diverse, off-the wall opportunities. It is seen by many as the best way to create sustainable growth and requires an organisation to question its very existence, in other words, why it does what it does. The difficulty is that in many innovation scenarios, the business model has a tendency to happen by osmosis and reveal it self through the mists of time, or it is somehow reserve-engineered to meet current operations. Being successful at business model innovation really can change the status quo and it heralded as a powerful driver of value and a surer way to succeed than technology, product, or service innovation. While business model innovation can be more impactful, it certainly requires more bravery and a greater appetite for risk and flexibility. Because of this it is still difficult to successfully execute business model innovation in an open innovation context. It is only recently that studies have begun to empirically address how organisations need to redesign their business models to accommodate open innovation. As stated by Saebi and Foss (2018), addressing business model innovation in an open innovation call will undoubtedly require the development of capabilities to manage the various knowledge processes such as knowledge exploitation, exploration and knowledge retention. To effectively harness the potential beneﬁts of open innovation, companies also need to employ various organisational and managerial practices such as extensive delegation, intensive lateral and vertical communication and rewards for knowledge sharing, research capacity needs and cross-functional collaboration between departments and organisations. ³ These are all very hard to do. In the bigger scheme of things it makes absolute sense to do business model innovation. Add to this the additional reach and crowd intelligence benefits enabled by an open innovation approach and potential for major breakthroughs at greater speed and intensity becomes a reality. Business model innovation requires a ruthless appetite for change, coupled with equal amounts of commitment. In the end it is about understanding what needs to be achieved first, and planning but most of all acting, accordingly. So whether we want incremental innovation, radical innovation or something in between, understand the why, and then accept and plan for the risk. As we know, great reward almost always demands taking on great risk! Are you creating new businesses and identifying the correct opportunities to build pathways to relevance for your organisation? Please share your thoughts and insights on the topic.